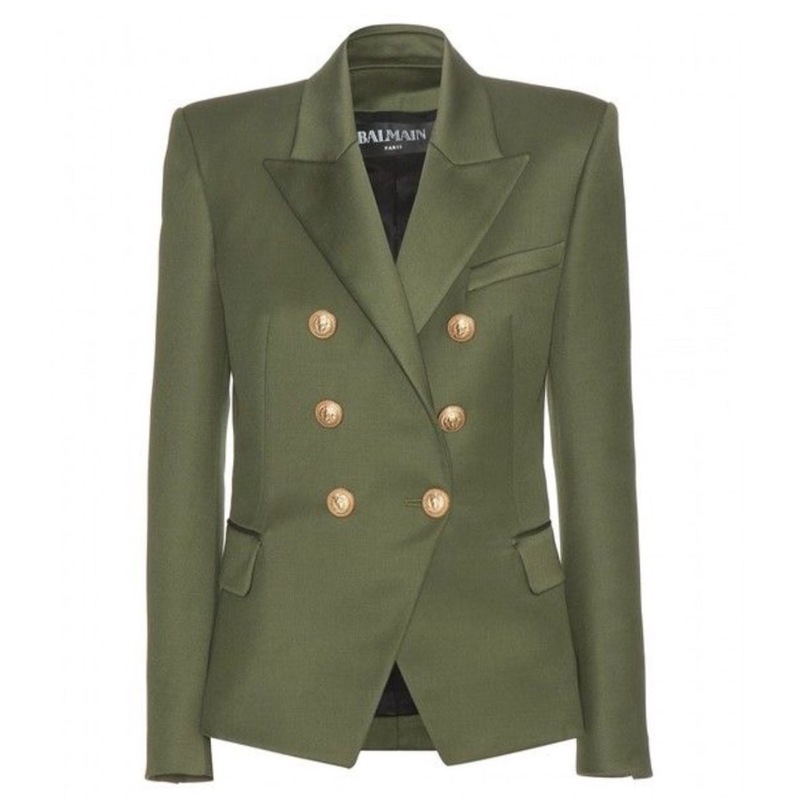 This AMAZING Balmain wool blazer is a precursor to all things lovely for Fall 2015! Olive green, just so happens to be one of my favorite colors. 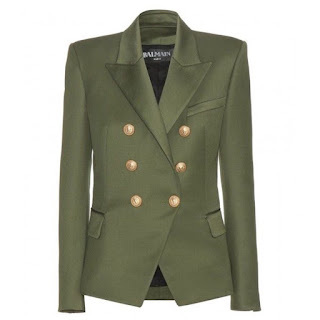 And I personally love to pair it with gold jewelry, so the gold buttons on this jacket just tickle my fancy!! Notable Style Fashionistas this piece or one similar is a definite wardrobe staple. It can be worn multiple times and in multiple combinations. Now Casting For New York Fashion Week!! !